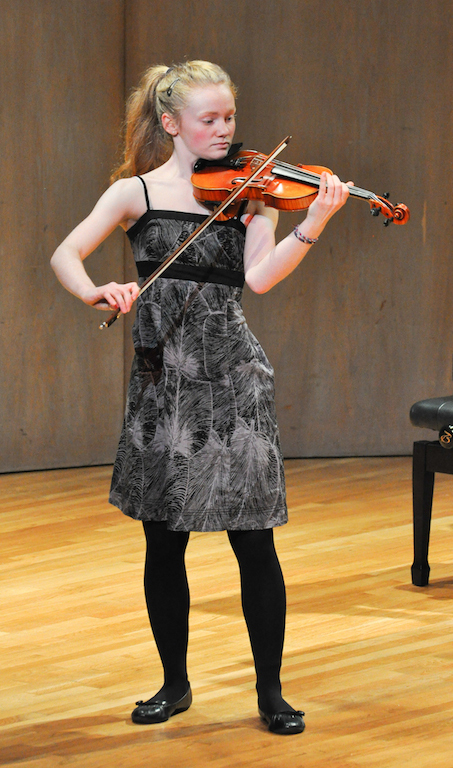 Another fascinating and moving Don Chrysler Concerto Competition has come and gone. 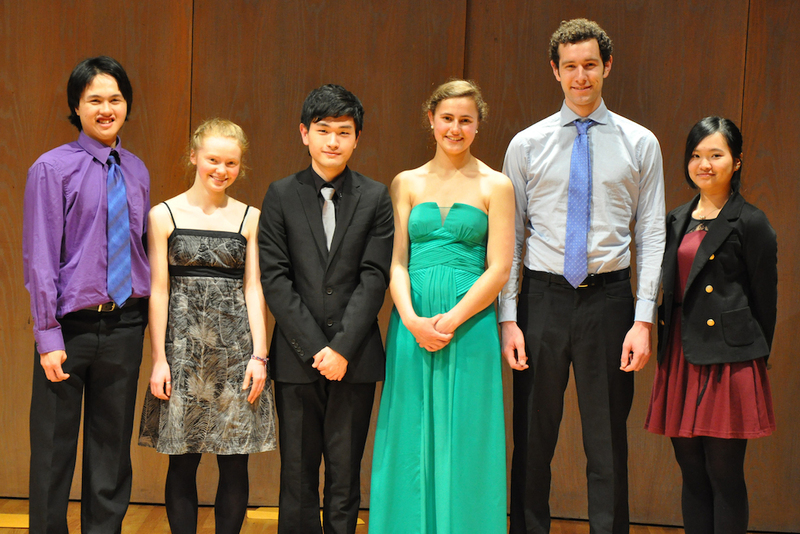 Six young musicians put themselves on the line, and each wowed the substantial audience at the Philip T. Young Recital Hall on Saturday, April 26th. The playing was stellar and the adjudicators had a difficult choice, but at the end of the evening, Jeanne Campbell (piano), Rebecca Hissen (clarinet) and Brian Yoon (cello) chose Masahiro Miyauchi as the Sooke Philharmonic Orchestra October soloist, performing Beethoven’s Emperor Concerto No.5. 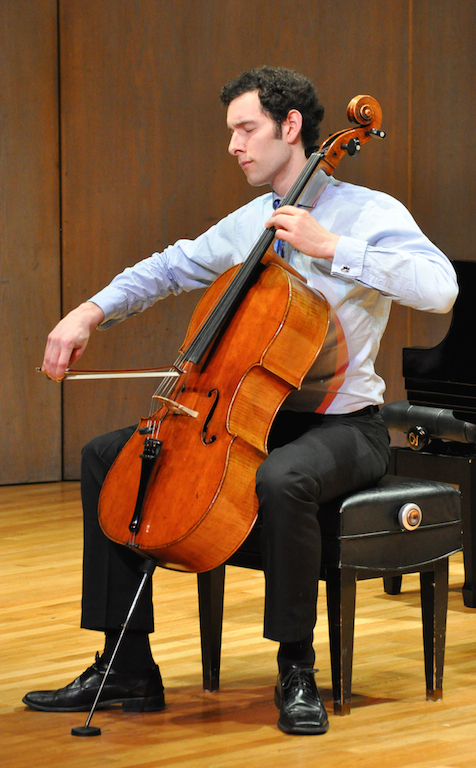 Second place was tied between Rae Gallimore, playing the Walton Viola Concerto, and Ashley Green, who played Saint-Saens’ Cello Concerto No.1. Not unexpectedly, the audience had a different take. Audience members were given the chance to vote for their first, second and third choices. 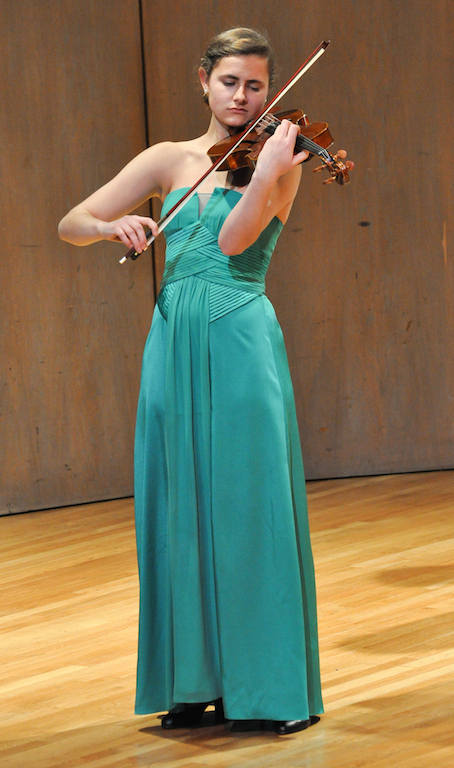 When the audience choice ballots were counted, it was Rae Gallimore who garnered the most votes. 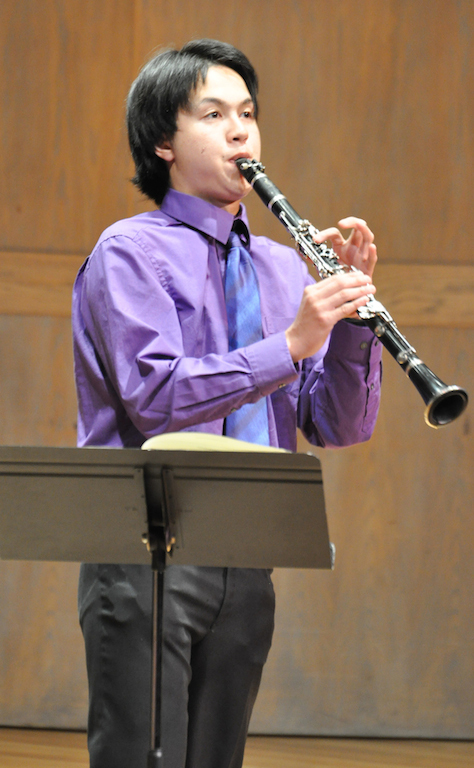 Masahiro Miyauchi was second, and Leo Phanichphant came third, with his performance of Mozart’s Clarinet Concerto. Fifty-five ballots were received; the choices were weighted and tallied. 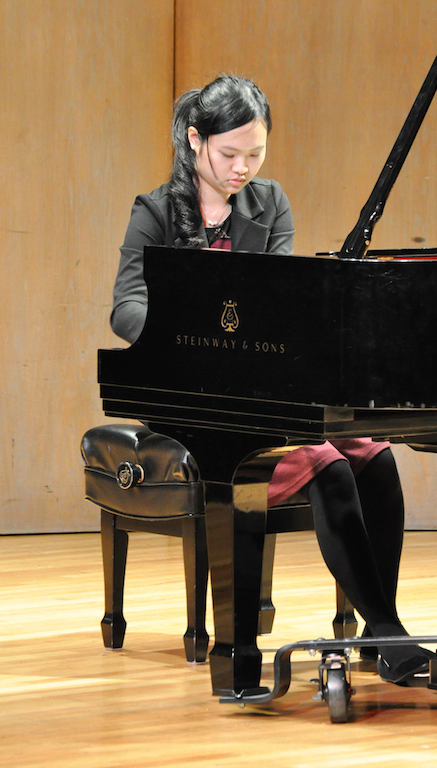 The other two young musicians were Ya-Ping Huang, performing Liszt’s Piano Concerto No.1, and Hailey Phillips, who played Mozart’s Violin Concerto No.4. 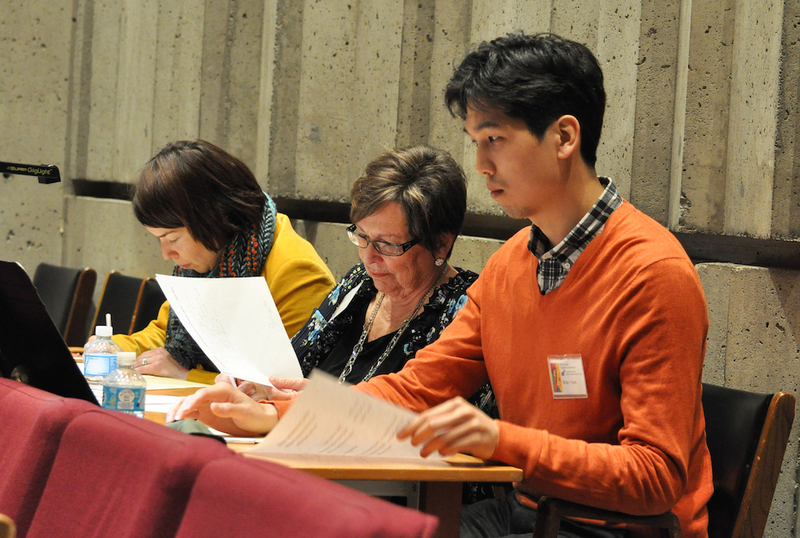 The audience choice ballots remind us that a juried prize is just that – the best judgment of the members of the jury. There is always room for discussion and other opinions, and this is what makes the Don Chrysler Competition such an interesting evening. 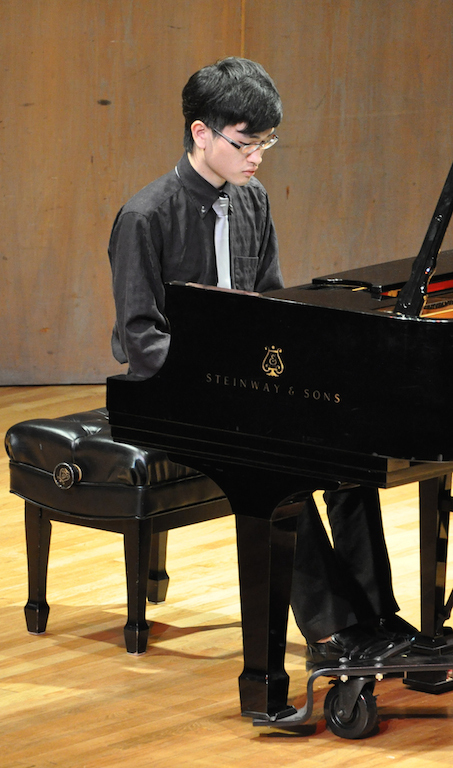 No matter who is chosen as the winner, all the young musicians have our respect and admiration, not least for their willingness to step up and subject themselves to so much scrutiny and judgment. To the competition finalists, we want to say this: You were all wonderful; we loved you all! We hope that you will remember your competition experience as a positive one in your musical lives!